Online accountancy is the way forward. HMRC is investing heavily on IT infrastructure too and as a result new and more legislations coming e.g RTI of PAYE, Pensions, online VAT portal and Digital tax etc to mention few. All above compliance requirement and many more can be manged through online cloud based accountancy software and there are many in market. 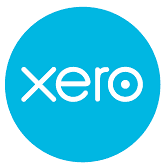 We are certified Online Accountants for XERO and Quickbooks. Expert in QuickFile and Sage. We can work with any software you like, to mention few our clients use many of them as follows. All online accounting software carry long list of rich features, it is not possible to cover all of them here but if you contact us for FREE initial meeting or chat us online, we can discuss your business needs and suggest suitable software. 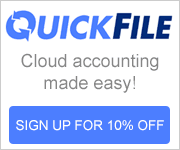 Quick File is a Free Online Accounting Service dedicated for small to medium sized businesses. Quick File is incredibly simple to use and written in plain English! You can create your own professional looking invoices, track what you are owed and how much you owe to your suppliers. It is free for small to medium size transactions records for larger number of transaction there is small charge but still very good value for money over all.